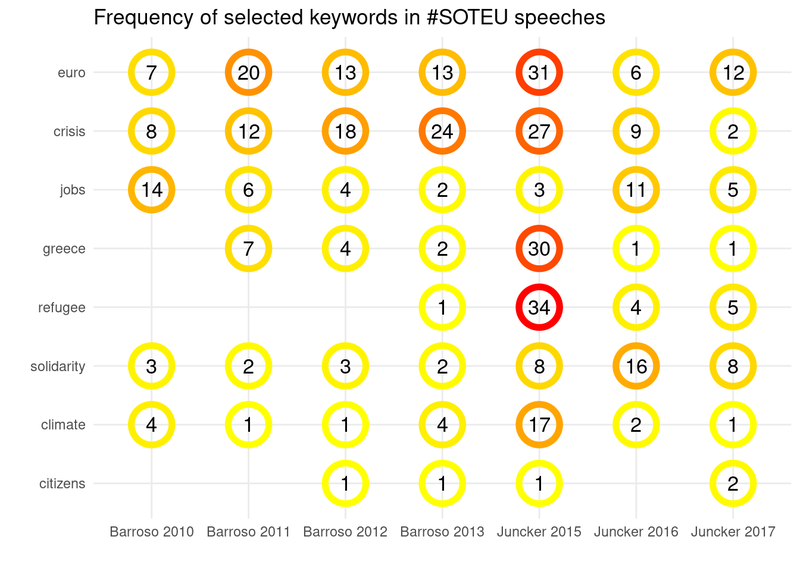 In a previous post, I described how I created the data visualisations that have been published by EUobserver, VoxEurope, and balcanicaucaso.org. The final version of the graphs published included a number of wordclouds, but not a type of wordcloud that I thought was particularly interesting. A wordcloud based on all the words found in the same sentence as a given keyword. For example, what words are found in the same sentence as “crisis”? But hey, what if you’re interested in some other keywords? There you go. You may want to try russia, balkan, or whatever you are interested in.